These four elements form a powerful alliance to promote healing. The DOC program is simply one of the many applications of these age-old concepts. 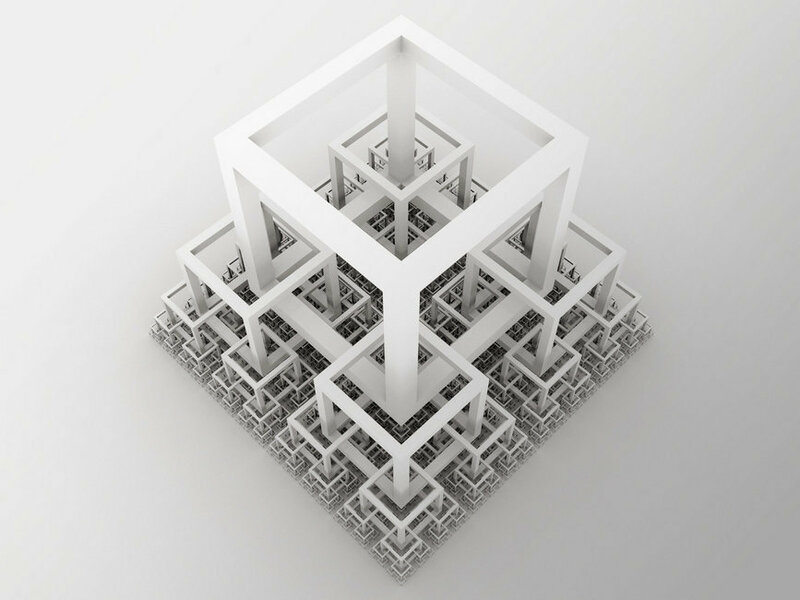 You cannot successfully address a problem unless you are aware of its root causes. But many people in pain stubbornly insist that, “The problem is that I am in pain,” and leave the solution to their health professionals. These patients do not want to explore the neurophysiological nature of their pain or any other factors that may be causing it. A recent paper that reviewed hundreds of studies stated that “chronic pain is a maladaptive neuropathological disease state.” (1,2,3) You cannot successfully solve a neurological problem with a surgical procedure. It is just not possible. My friend, Fred Luskin, author of Forgive for Good, pointed out that the human body is designed for survival, not necessarily for quality of life. All stress–real or imagined–is perceived as a threat and triggers your body to secrete adrenaline and cortisol. If you are under constant stress you may not even notice it, but your body will continue to secrete these chemicals that keep you in a continual “fight or flight” mode So you can see how awareness of your automatic survival response can help you substitute a more functional, healthy response. Hope is a critical component for living a meaningful life. Most of my patients have been to many providers and undergone multiple treatments without success. Additionally, since no one has provided them a plan should the treatment fail, there does not seem to be any way out. They feel trapped. The indescribable anger and frustration really crank up their stress chemical output, which increases the pain. How many times can you experience that kind of disappointment and still keep moving forward? Dr. Viktor Frankl, author of Man’s Search for Meaning, was an Austrian psychiatrist who survived the WWII concentration camps. In his book, Dr. Frankl described how the worst part of the ordeal was not the indescribable physical suffering, but not knowing when if and when it was going to end. Every week I see huge smiles on the faces of patients who are now pain free after years, sometimes decades of pain. They cannot express their feeling in words, and I feel privileged that I have been able to provide a framework for them to pull themselves out of the hole. 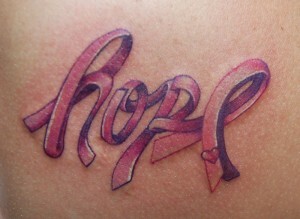 It began with awareness and hope. You will not heal while you hold on to anger, no matter how justified your anger might be. I cannot advise you in this area, because that is beyond my level of expertise; but there are many resources out there to help you process your anger, if you look. The method does not matter as long as it enables you to truly let go. Remember, that to stimulate your brain to develop new pain-free pathways you have to move forward with or without your pain. I highly recommend Dr. Luskin’s book, Forgive for Good. 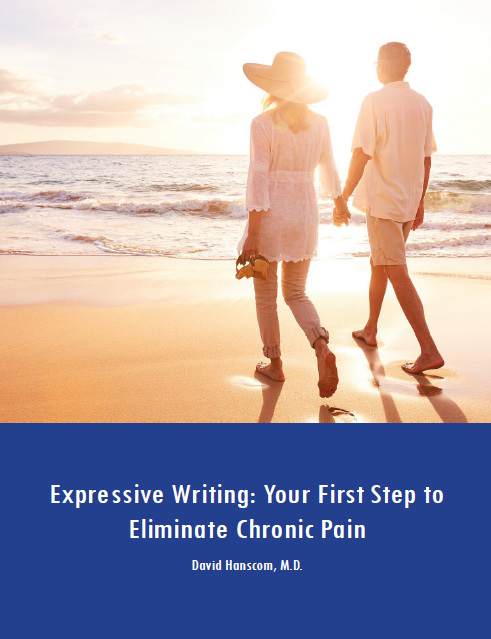 When it entered the DOC program, I began to see patients free themselves from their pain. I consider acknowledging and processing anger the “Continental Divide” of chronic pain. Several studies have shown that the vast majority of people in chronic pain still blame the person or situation that caused their injury. Interestingly, the person they blame the most is themselves. (4) When patients tell me they are not angry I often will ask them how critical they are of themselves. The most important person to let off of the hook is you. Knowing how anger obstructs healing and creates more pain, why do you insist on holding on to it? Is it really worth it? Iris became pain free after decades of severe chronic pain. She had been on high-dose narcotics and using a walker. Now she is off her meds and walking un-assisted. She wrote me, “The book you have written has saved my life. It is so much more than a book on back pain; it is back in control of my sanity, my depression, my self-worth, and my caring. I had no idea that anger was behind my anxiety and depression.” I have never met her but was able to talk to her a few months later. The key to her healing was awareness and letting go. Anger and play could not be farther apart. Anger disconnects us from others, from ourselves and from life; while sharing play is the essence of life. “Play pathways” are powerful and permanent circuits present in every human being who has had a childhood; but they can get buried in the hubbub of daily life and the distraction of chronic pain. Even someone who did not develop an overabundance of them in childhood still has them. But although play pathways exist in all of us, they must be nurtured by making conscious choices to play. You do not need to continue to live your life in anger. I had been frustrated with almost everything for so long, I had no idea that I was angry. But about five years ago, I made a conscious decision to re-inhabit my play pathways when I chose to enjoy my day regardless of the circumstances. I am not always successful; but I am committed to re-engaging with these circuits as quickly as possible when I wander off course. Even the labels “work” and “play” do not make much sense to me anymore. 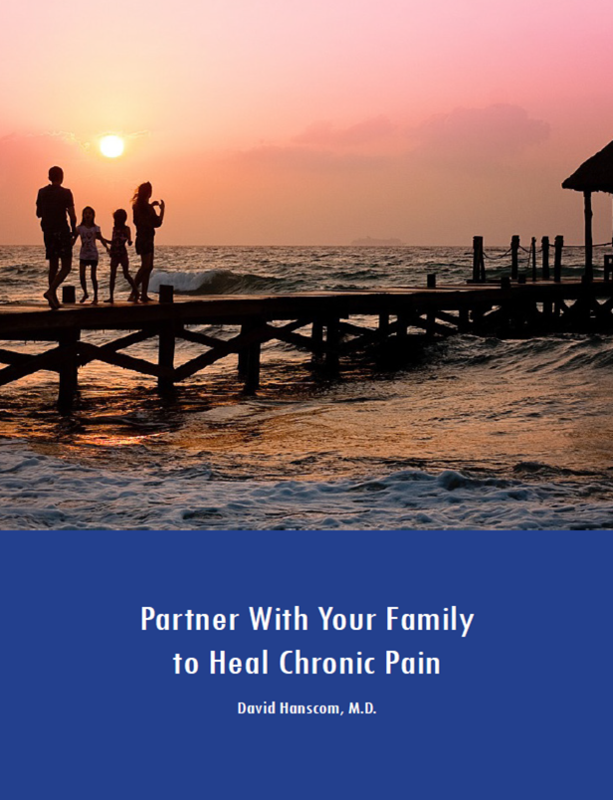 Three of the principle methods for eliminating chronic pain are: 1) de-adrenalizing the nervous system, which slows the speed of nerve conduction and decreases the level of pain; 2) building new pathways that circumvent the imbedded pain pathways; and 3) shifting to the new pathways. Play does all of this. I keep saying that my book is not the solution. But it provides a strong framework to help you reorganize your thinking about pain and use awareness, hope, forgiveness and play to help you find your way out. Give it a go. Those of us physicians who use some version of this approach feel strongly that the majority of our patients will continue to improve. 1. Davis KD and M Moayedi. “Central mechanisms of pain revealed through functional and structural MRI.” Journal of Neuroimmune Pharmacology (2013); 8: 518–534. 2. Baliki MN and A Vania Apkarian. “Nociception, pain, negative moods, and behavior selection.” Neuron (2015); 87: 474-491. 3. Tracey I and MC Bushnell. “How neuroimaging studies have challenged us to rethink: Is chronic pain a disease?” The Journal of Pain (2009); 10, 1113–1120. 4. Eccleston C, et al. “Patients’ and professionals’ understandings of the causes of chronic pain: blame, responsibility and identity protection.” Social Science & Medicine (1997); 45: 699–709.